I gathered few ingredients, pressure cooked some veggies that were readily available and viola!! 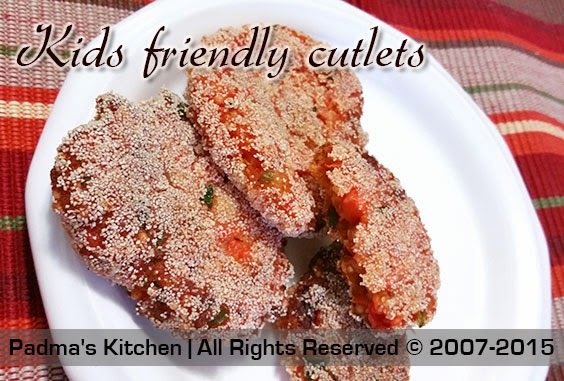 Yummy sweet and savory cutlets are ready!! So here goes the recipe, I used the vegetables I had that day. I boiled potatoes, beet n carrots in a pressure cooker. You can also use cauliflower, green peas, green beans, soya chunks raw plaintain and such vegetables. 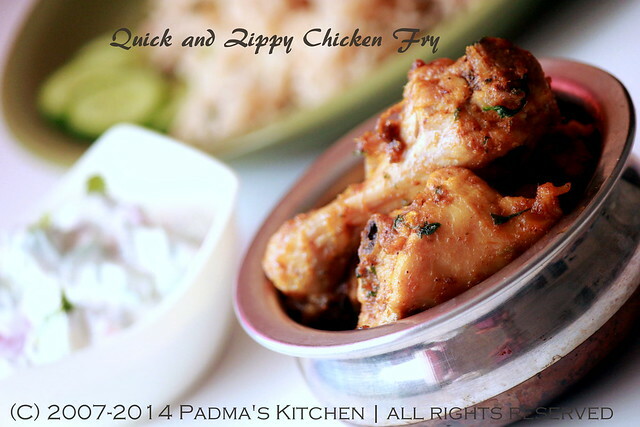 Add your favorite spices and flavors and make a Patti shapes and just shallow fry..that's it!! Boil all the vegetables in pressure cooker by adding little water and salt. Cook till 2 whistles. Cool the boiled veggies and mash them together. Add all the ingredients as listed till salt. Make Patti shaped or finger shaped and keep it aside. Meanwhile take a wide frying pan/skillet and heat oil so that it covers the entire surface of the pan, if you are using nonstick skillet use less oil. 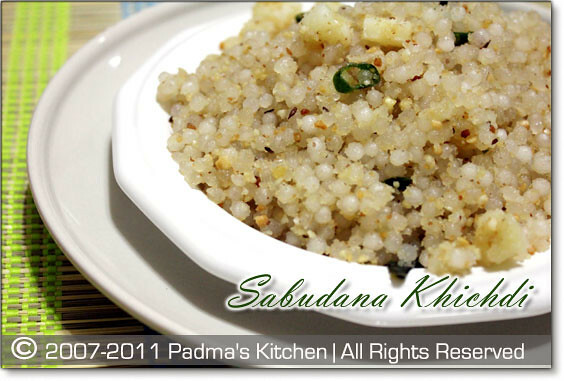 Now take rava(semolina) in a plate and coat the prepared Patti's and transfer it to skillet for frying. Shallow fry(tawa fry) on medium heat. It takes about 3-4 mins each side and place it on paper towel to soak the excess oil if any. Serve hot with ketchup/hot sauce or just snack it. 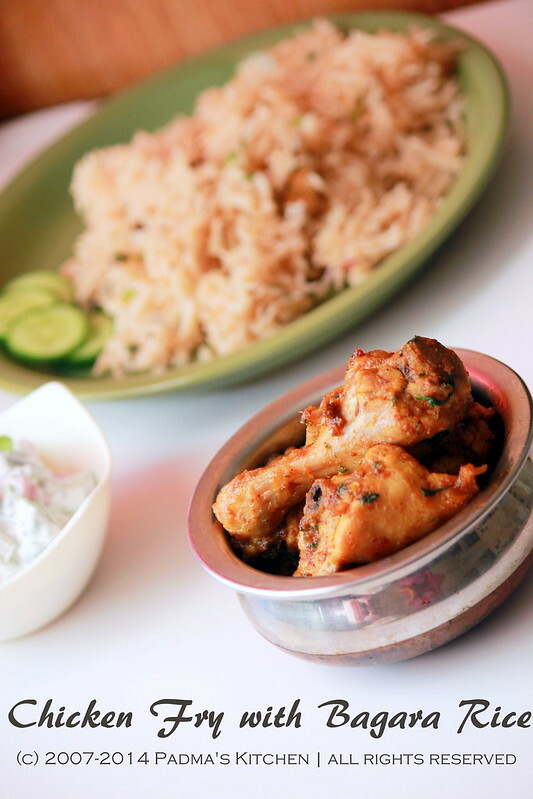 This quick fix rice meal can be made for any main course like chicken curry or any veggie entrees, or can be served plain with some raita. 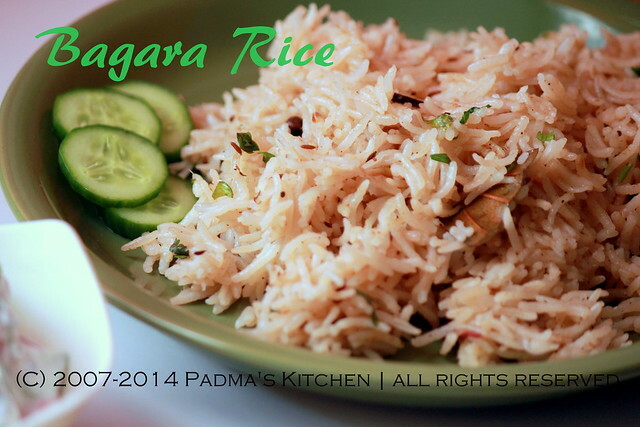 Bagara rice is famous in Andhra predominantly from telangana region. Made with fewer ingredients but no compromise on the flavor or on your palette. 3 C of basmati rice, wash and keep it aside. I used pressure cooker for cooking this rice, you can also use electric rice cooker or big 5 quart size sauce pan. Firstly wash the basmati rice and keep it aside. Heat oil and add all the spices and fry for a minute. Add the onions and fry till translucent. Add the ginger garlic paste and garam masala too. once the oil leaves from the sides, add chopped mint/pudina leaves and fry for few minutes. Then add rice and mix well, check for salt, add the water, cover it and let it cook. If you are cooking in pressure cooker or electric cooker the ratio is 1:1.5 for rice to water. If you are cooking on stove top in a sauce pan cook the first 10 mins with covered lid and once the liquid is all absorbed turn the heat off and cover. The rest of rice will cook in its own steam. 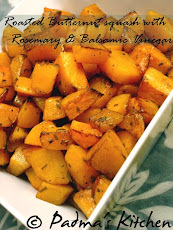 Serve hot with any side dish or plain yogurt. 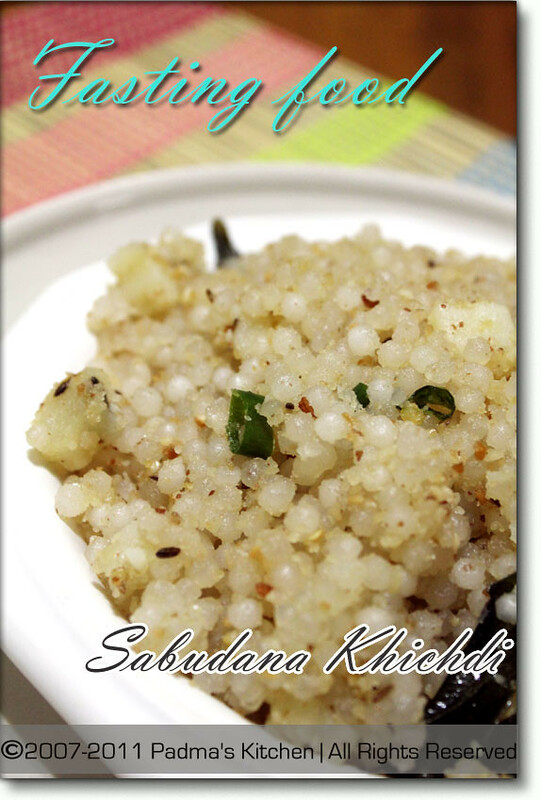 I made this Bagara rice to go with Chicken fry and raita (yogurt sauce). I just whipped some sour cream and added some cherry tomatoes, chopped cucumber and cilantro. Added a spoonfull of chia seeds and salt and its ready to serve. Usha from My Spicy Kitchen invited me to make something for her Fabulous Feast Friday # 3 event and I thought why not make a dish and post something on my blog. Blog! pheww!! my blog has been sitting around doing nothing but gathering dust and no cobwebs and spider crawls which are blogessentials to make your blog popular and pop up on search engines. 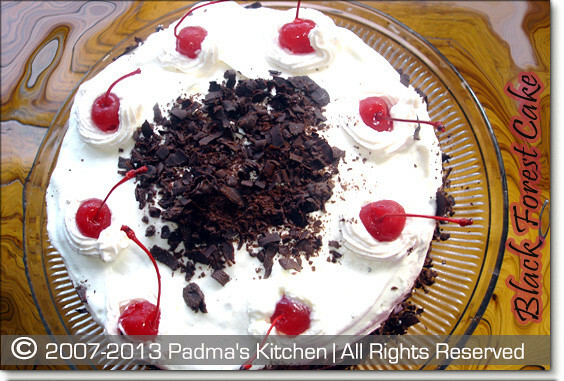 This foodie feast is an opportunity for my blog to rise and shine once again in the blogosphere and from my hibernation of course $#@#&^ eyes rolling.....Thanks Usha!! I usually get the chicken from halal meat and usually go for chicken legs and thighs and ask the butcher to make small pieces. Wash the chicken in luke warm water at least one time and add the half teaspoon of turmeric powder and keep aside. Heat oil in a non stick pan and saute onions. Once they are translucent add the chopped green chillies and saute for another minute. Add the ginger garlic paste and fry for a minute. Make sure you don't burn the paste or else it will give a bitter taste to the chicken. Add the chicken pieces, salt and cover it with a lid. Let the chicken cook on a medium high flame for about 15 mins. since we cleaned the chicken in water there will be enough moisture for the chicken to cook through. If at any point you feel that the water is evaporated then do add 1/4th cup of water. When the chicken is thoroughly cooked take off the lid and start adding garam masala powder and the chilli powder. Now turn on the flame to high and fry the chicken till all the moisture dries up and the oil leaves from the sides. Turn off the gas and let it cool for a bit. 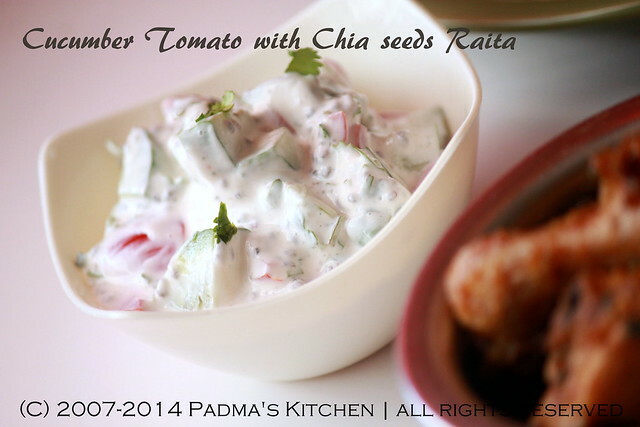 Garnish with chopped cilantro and serve with Bagara Rice and Tomato Cucumber in sour cream Raita.. These days everyone has become so health conscious, every other person I come across says that s/he are on a 'Diet' or have started eating healthy. Some are eating more of greens, whole grains, fruits and vegetables during the weekdays and go easy during the weekends. Eating a healthy, balanced diet is an important part of maintaining good health, and can help you feel your best. The key to healthy diet is to watch what you are eating, how many calories you need, how much water you are taking and how much is too much. The average man needs around 2500 cals/day and the average women needs around 2000 cals/day. Eating a wide range of foods ensures that you are getting a balanced diet and that your body is getting all the nutrients it needs. Base your meals on starchy foods. Starchy foods should make up around one third of the foods you eat. Starchy foods include potatoes, cereals, pasta, rice and bread. Choose wholegrain varieties when you can: they contain more fiber, and can make you feel full for longer. Eat lots of fruits and vegetables, Eat more fish, cut down on saturated fats and sugar. Increase your fiber intake, cut down on salt and fizzy drinks, keep well hydrated, taking 2-3 liters of water a day really helps flushing all the toxins from your system. 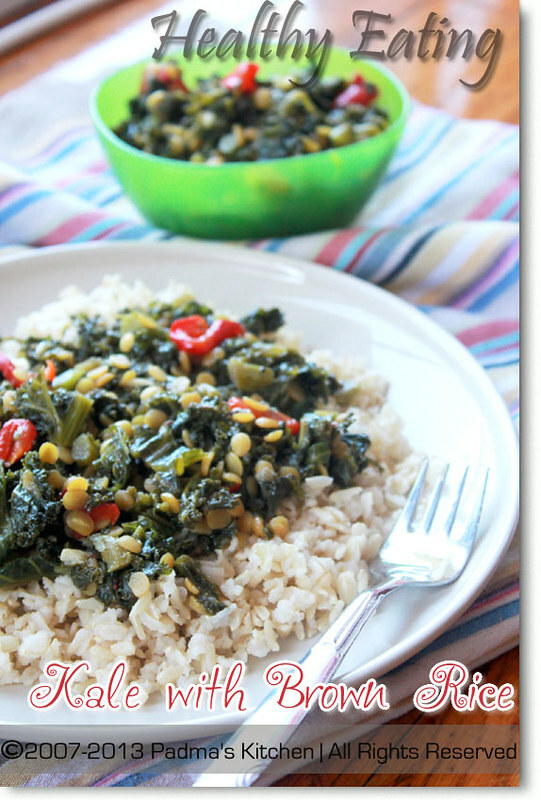 Coming to the main ingredient of this recipe, Kale is king!! Along with broccoli, it is one of the nutrition stand-outs among vegetables. It fights fat through its ability to mingle in a variety of roles -- in side dishes, combined in main dishes, or in salads. Kale is unusually high in fiber. This helps create the bulk you need to fill you up and to keep you full for a good amount of time. Kale is also an excellent source of nutrients, especially vitamin A and calcium. With a combination of vitamins, minerals, and phytonutrients, kale is a dieter's dream food. 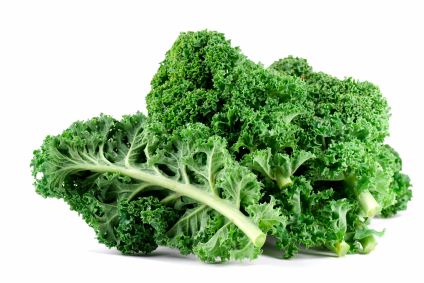 In addition to beta-carotene, kale posses other important carotenoids: lutein and zeaxathin. These carotenoids help keep UV rays from damaging the eyes and causing cataracts. According to recent research results, kale is an incredible source of well-absorbed calcium, which is one of the many factors that may help prevent osteoporosis. It also provides decent amounts of vitamin C, folic acid, vitamin B6, manganese, and potassium. 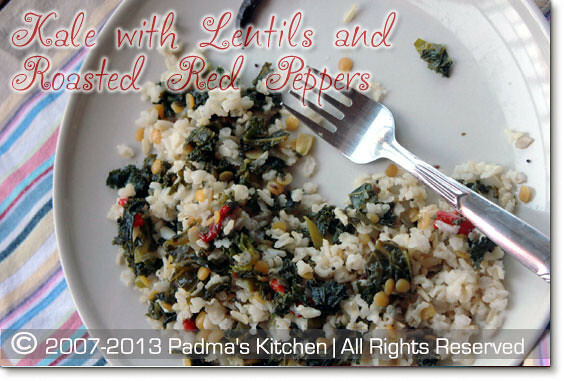 Coming to this recipe using Kale greens in your diet is somewhat tricky as this is very bland vegetable and after much of trail and errors, I found this is one perfect side dish that goes well with rice as well as rotis, Indian flat bread. Firstly soak half cup of yellow lentils (toor dal/kandi pappu) in one cup of water. Wash your kale greens if it is not pre-washed. Chop them roughly on the cutting board make sure to chop those meaty stems. Meanwhile cook lentils along with water in microwave on high heat for 5 mins. Chop the onions and garlic and roasted red peppers. Take a big saute pan and heat extra virgin olive oil on medium flame. 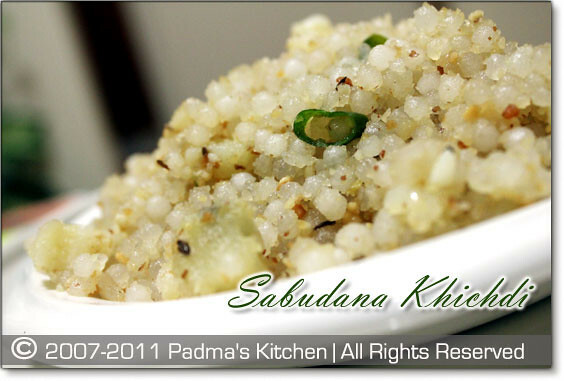 Add the cumin and mustard seeds to it, saute it for few mins till they are roasted. Add onions and garlic and torn red chillie pepper. Saute till they turn little red and then add kale greens. Stir for a min and let the color or kale gets intense. Add the lentils and the water to the pan and mix everything evenly. 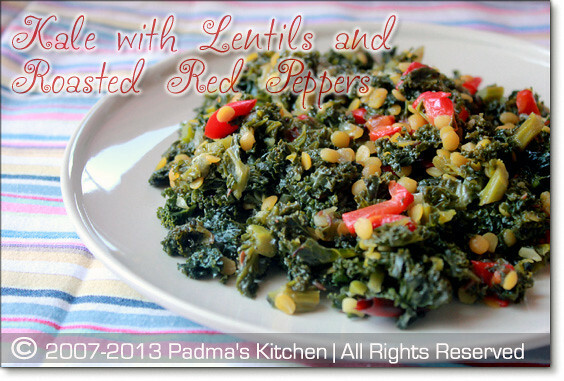 Add salt and pepper, cover and let the kale, lentils and all the flavors marry together. Cook till kale is cooked. Before turning of the stove off add the roughly chopped roasted red bell peppers, mix well check for salt and add if needed. 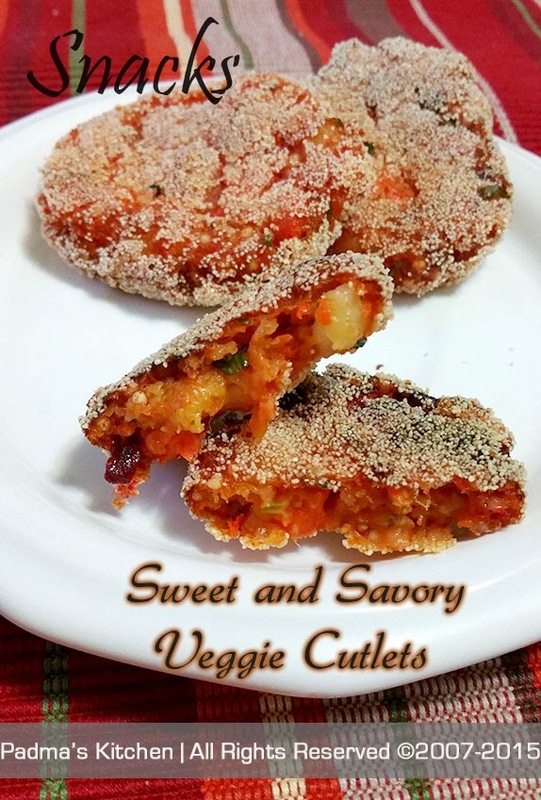 We had this with brown rice and it tasted healthy awesome! Its been a very long time that I updated my blog. 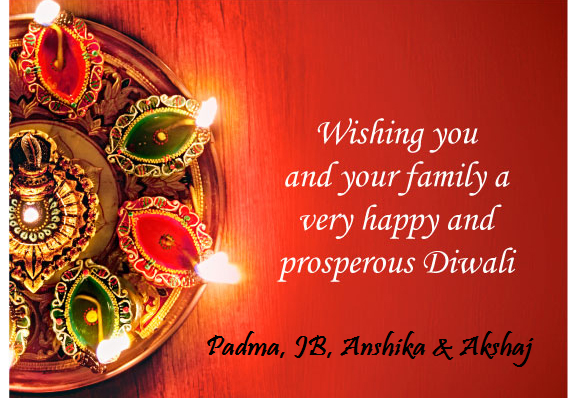 I am back to blogging after a very long gap of two years, almost. I was always fascinated by food, photography and food related things. I am glad to see so many new budding blogs on FB and foodie world, so much to learn and so much to explore with the young(am I that old?? c'mon) bloggers. Couldn't sit on back burner for that long. I know when the time is right I will be back to this lovely, aromatic and yummilicious foodie world. Hoping to make new friends and trying to learn new things from great bloggers. One promise to myself is I will keep updating my space often, Though being MOM of two wonderful kids tops my priority list but will try to be regular with my postings. Before I jump into the recipe I have a small announcement to make Anshika got a promoted to 'Big Sister', we were blessed with a baby boy. Akshaj, was born November 15th 2011. It's never late to share the news about your baby right! !